The financial crisis has had broad political and economic effects across the European Union. It has had legal effects too – leading to the European Central Bank (ECB) not only developing controversial new means of intervention in monetary policy, but also being granted new powers of banking supervision and (with the ‘Troika’ of the Commission and the IMF) becoming involved in austerity policies in the Member States that needed financial assistance. The two blog posts below discuss recent developments in the case law on review of the monetary policy (Weiss: blog post by Annelieke Mooij) and banking supervision powers (La Banque Postale: blog post by Carlos Bosque and Alejandro Pizarroso) of the ECB. As for judicial review of austerity policy, the EU General Court recently followed up the CJEU ruling in Ledra Advertising (discussed here) with its judgments in Bourdovali and Chrysostomides. While the recent judgments reaffirmed the limited judicial review of ECB measures on monetary and austerity policy, they suggest a contrary willingness to demand stricter judicial scrutiny of banking supervision. Whether this becomes a more general trend remains to be seen. In June the last bail-out agreement was struck with Greece signalling the end (at least for now) of the Greek financial crisis. The Asset Purchasing Programme of the European Central Bank (ECB), also known as Quantitative Easing, has ended in December 2019. And the most recent case in the important euro-crisis case-law, the Weiss case, has been decided in December. This is not to say that the discussion surrounding the economic and monetary union is finalized, nor that no financial crisis will ever rise again. It is therefore important to reflect on the past crisis and prepare for the next. During the euro-crisis several topics were an important point of discussion, but none was as prevalent as the question into the powers of the ECB. More precisely to what extend may monetary policy impact economic policy? The Treaty on the Functioning of the European Union (TFEU) clearly splits economic and monetary policy. Whereby economic policy is left for the Member States to conduct and monetary policy is within the competence of the ECB. The euro-crisis, however, has shown that these two policies are not so easy to separate. Leading to separate cases where the Court had to decide upon the lawfulness of the OMT programme (Gauweiler, discussed here) and Public Asset Purchasing Programme (Weiss). With the crisis and the Decision of the Court behind us, it is time to add-up the scores and answer the question to what extent may the ECB enter the field of economic policy and what instruments has it gained? In order to assess the impact of the crisis it is first necessary to make a brief overview of the state of the art before the crisis. The monetary goal of the ECB in the TFEU was described as price stability which is by the ECB defined as inflation close to but under 2%. In addition the ECB may support, without undermining monetary policy, general economic policy. The instruments available to the Bank are listed in the Protocol of the ESCB, Article 18.1 defines two clear instruments. The first is the purchase and sale of marketable instruments, the second is to conduct credit operations. According to the Article 123 TFEU the ECB is prohibited from directly financing Member States and according to Article 125 TFEU the ECB may not bail-out Member States. Pre-crisis these formed the most important contours of ECB’s powers with regard to monetary policy. Then came the euro-crisis. The euro-crisis case law exists of three major cases Pringle, Gauweiler and Weiss. The Pringle case did not involve the ECB but concerned the ESM programme, in the form of a treaty between Eurozone Member States to assist those among them which were having economic difficulties. It is nevertheless an important case as the Court accepted that there can be overlap between economic and monetary policies. This approach abandons the strict separation that flows forth from the Treaties. From the perspective of the ECB this is not very unexpected as the ECB is allowed to conduct monetary policy and support economic policy. The problem however is the definition of “support”. The word support entails that it may not determine economic policy, but the line between the two seems vague. In the Gauweiler decision the Court stated that in order to determine whether a measure is of monetary or economic policy the objectives and instruments have to be assessed. The OMT programme under discussion in the Gauweiler case had as objective to restore the monetary transmission channels and the singleness of monetary policy (paras. 46-49). This included counteraction against the speculation of a break-up of the Eurozone. Adding the objective of keeping the euro together may not have fallen within a strict adherence to the law. It is however not strange that the ECB chose to save the euro. The Eurozone falling apart may have led to further implications for the price stability goal. The second criterion in determining whether a measure is of monetary or economic policy is that of the instruments used. In the Gauweiler case it became clear that these operations may have economic effects (para. 52). They may however not be violating either directly or in spirit the no-bail out clause and the prohibition upon direct lending. The Court determined the main criterion to evaluate this was by asking the question whether the impetus to keep a sound budgetary policy is kept. The Weiss case added that these so called “indirect effects” do not have to be unforeseen and can be knowingly accepted (para. 62). The Court furthermore states that in order to reach inflationary goals the ECB’s policy will impact interest rates and the real economy – thereby accepting that monetary policy, in order to be effective, will often impact economic policy (para. 63). This conclusion is neither unexpected, nor unwanted per se as the Treaty clearly provides the ECB the power to support economic policy. Yet in the Gauweiler case the Court also accepted the role of the ECB within the so-called Troika. The Troika consists of the Commission, ECB and the IMF and has been given shape in the ESM Treaty. This Treaty provides the Commission, IMF and the ECB, when a Member applies for support, with the task to negotiate and monitor the Memorandum of Understanding (MoU) with the Member in need of assistance. This MoU contains many aspects arguably economic in nature. The negotiation and monitoring is considered by the Advocate General as one of economic policy. The Court does not go into this matter in its judgement. By not going into the role of the ECB within the Troika the Court arguably accepts – or at least allows this function. It therefore seems that during the crisis the ECB has gained the power to negotiate and implement certain economic goals. These instruments are difficult to view as monetary policy instruments. The remaining option is to classify them as in support of general economic policy. Arguably the last chapter, at least for now, in crisis case law is that of the Weiss case. In the Weiss case the programme under discussion was that of the Public Sector Purchasing Programme (PSPP). Unlike the OMT programme the PSPP has actually been implemented. Legally, however, this makes little difference as the OMT programme was adjudicated as if it would be implemented. This programme is technically one of four programmes conducted under the Asset Purchasing Programmes. The word technically is used in this context because the PSPP purchases far outweigh the other programmes. In the last month of the programme the PSPP volume was a rough 81% of the total purchases. This is interesting to note as one of the criticisms after the Gauweiler case was that the arguments of the ECB were taken at face value. This seems the case for the argument given by the Advocate General (para. 150.) that PSPP is “just one of the four-programmes”. Part of this might be because the Court only assesses whether the ECB has made a “manifest error of assessment” (para. 91). In the same paragraph the Court however also states that monetary policy decisions are usually controversial and “nothing more can be required of the ESCB apart from that it use its economic expertise and the necessary technical means at its disposal to carry out that analysis with all care and accuracy”. This almost creates a situation whereby technical assessment of the ESCB’s judgement is impossible, as it is difficult to find a body appropriate to “second-guess” the ECB’s decision-making. Another main difference between the two programmes was that the OMT programme was only to be applied to countries that fulfilled certain conditionality requirements. The PSPP on the other hand was a general programme, which is arguably closer to the ECB’s monetary goals. The Court considers that a general programme can still breach the monetary assistance prohibition of article 123 TFEU if the ESCB creates a de facto certainty of purchase for the primary actors (para. 110). Interestingly it also considers that due to the division key the more debt a Member State accumulates, the lower the proportion the national bank buys (para. 140). Therefore despite the general application of the programme the ESCB is still able to uphold the incentives for individual Member States to keep a sound budgetary policy. Unlike the referring court the ECJ does not go into the numeral specifics of the volume of purchases. Thereby indirectly confirming the budgetary independence the ESCB enjoys. This, however, also indicates there are few or no organs within the EU to check the details of ESCB decisions. With the euro-crisis slowly becoming history (at least for now) it is time to assess its impact. The impact of the euro-crisis upon the European Central Bank has been serious. Case law has shown that monetary policy and economic policy are not strictly separated and one may influence the other (Gauweiler). This influence cannot be contrary to monetary policy but the effects can be foreseen and knowingly accepted (Weiss). Secondly the power of the ECB to support general economic policy is more clearly defined. This power may include the task to negotiate and monitor compliance of fiscal reforms. The legality and consequences of the latter caused debate amongst scholars and could form a cumulative process that should be carefully watched. The Weiss case did not bring major reforms, nor does it seem out of place. It however further demonstrated that there are few organs to check the specific arguments put forward by the ECB. Though the ECB was designed as a highly independent bank it is difficult to imagine that this level of independence was desired. Some European cases (and many recent ones, like the decision on the lawfulness of the public sector asset purchase program, discussed in the post above) seem to immediately draw the attention they deserve. Others, however, tend to go unnoticed. Among these, we may find La Banque Postale (T-733/16), a General Court case (sided by five identical rulings concerning other French credit institutions) dealing with the review of ECB supervisory decisions, which resulted in the annulment, for the very first time, of one such decision. The case revolved around the degree of discretion that the ECB should enjoy in its supervisory action. The message sent by the General Court was, however, quite clear. It effectively welcomed the ECB to a heightened standard of review —to hard look review. We will analyse this question here, but first we turn to the case. The facts are quite simple. In the aftermath of the Financial Crisis, the European Union legislator introduced a leverage ratio in order to discourage financial institutions from taking on excessive leverage risk. This ratio assesses the capital of an institution in relation to its exposures. But it does so independently of the risks associated to the latter, so as to measure the overall exposure of an institution. Some exemptions are nevertheless permitted. In 2014, Article 429(14) of Regulation 575/2013 was passed, creating a derogation for exposures arising from the deposits that an institution may be forced to transfer to a public sector entity for the purposes of funding general interest investments. The ECB, says Article 429(14), “may permit” these exposures to be excluded from the calculation of the leverage ratio of an institution. Pursuant to this provision, La Banque Postale requested the ECB to exclude from the calculation of its leverage ratio the amounts collected through certain regulated savings accounts that it was legally bound to transfer to a public entity. The ECB, however, rejected its request. It advanced three reasons for its decision. First, it argued that the institution remained globally liable for these exposures. Secondly, it noted that La Banque Postale was obliged to reimburse its depositors for the amounts transferred to the public entity, independently of whether the latter returned the funds to the institution, and even in the event of France’s default. Finally, the ECB contended that the inevitable delay when retrieving the funds from the public entity could lead to a fire sale in the case of a bank run. La Banque Postale, whose leverage ratio denominator was to raise by 50% from such refusal, challenged this decision. The case presented two issues: (1) whether the ECB had discretion in the application of the exemption; and, if so, (2) whether the ECB had exercised its discretion in a permissible manner. While the first issue was relatively easy to decide, given the clear language (“may permit”) of the provision, the second issue was rather more thorny. Having established that the ECB enjoys discretion in the application of the exemption provided that the conditions in Article 429(14) are met, the General Court turned to the second question. The answer was clear: the ECB did not exercise its discretion in a permissible manner. To reach this conclusion, the General Court relied on its traditional standard of review for discretionary decisions. EU courts —it noted— must not substitute the judgment of administrative bodies; their assessment is confined to determine whether an administrative decision is based on materially incorrect facts, or is vitiated by an error of law, manifest error of appraisal, or misuse of powers. But the application of this standard was quite interesting. According to the General Court, the first two grounds put forward by the ECB were affected by an error of law, because the ECB denied the exemption on reasons that were inherent to the exposures referred to in the provision, thus rendering the exemption almost inapplicable. The possibility that France may default —the main basis for its decision, as the ECB admitted during the trial— was specifically dismissed. Since the derogation in Article 429(14) refers only to amounts deposited in a public entity, which are thus state backed, the possibility that the country in question may default cannot be grounds for denying the exemption. But the opinion also found that the third reason advanced by the ECB was vitiated by a manifest error of appraisal. The General Court noted that, even if the liquidity risk identified by the supervisor may materialize in some cases, the ECB had previously admitted that small delays in retrieving the funds from the public entity were immaterial for the assessment of the institution's liquidity ratio. The ECB, in fact, had established such view in a previous decision concerning the liquidity ratio of La Banque Postale, and its analysis was backed by the EBA. This incoherence, the court found, runs counter to the principle of sound administration that applies to all EU institutions. The ECB’s decision denying the application of the exemption was therefore annulled. In our view, this ruling should not go unnoticed. Certainly, it is the first time that a supervisory decision of the ECB has been annulled since the Single Supervisory Mechanism became operational in 2014. But how should we read this case? The little attention that the judgment has drawn appears striking if, as we are inclined to think, the General Court is sending a clear message to the ECB with respect to its discretionary powers in the field of banking supervision. The General Court, in fact, seems to be welcoming supervisory decisions to hard look review, a term coined in the United States to refer to the rigorous standard of judicial review applied to agency's action since the 1970s (the phrase is usually associated with the US Supreme Court decision in State Farm). The General Court recites its usual standard of review for administrative discretion, but as Professor Craig has taught us, what really matters is how the test is used, the intensity of review that the court applies (Paul Craig, EU Administrative Law 445 (3rd ed. 2018)). It is true that the two specific rules that can be extracted from the case (i.e. discretion cannot be exercised in a way that runs counter to the objective of the provision being applied or its effet utile, and discretion does not allow an administrative body to be incoherent in its assessment over a given subject) appear to be reasonable. But what matters is how scrupulous the assessment of the General Court was, as evidenced by the (at times, excruciating) lengthiness and complexity of the ruling. The court avoids substituting the ECB’s judgment. However, it carefully weighs each and every one of its arguments, despite the clear discretion afforded by the governing rule, and regardless of the issue’s technical nature. The court seems to be telling the ECB that, unlike monetary policy, where it “must be allowed … a broad discretion” (Gauweiler, C-62/14, ¶ 68), banking supervision is an area of the law where stringent review of discretionary administrative action applies. The General Court, though, offers a way out for the ECB —sufficient justification. While the opinion does not specifically highlight this aspect, it suggests that by formulating clear reasons for its decision the ECB could have denied the application of the exemption. By carefully examining the plausibility of France's default or the liquidity risk incurred by La Banque Postale for the transfer of funds to a public entity, the General Court seems to say, the decision could have been upheld. 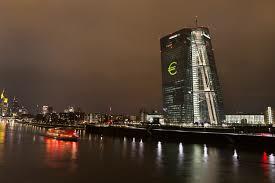 But it is now clear that, in its supervisory role, the ECB is but another administrative body of the EU, whose action will be subject to intense scrutiny on the part of the General Court, and whose decisions will have to be carefully justified in order to survive this heightened standard of review. Whether this development should be praised (enhanced judicial review?) or not (ossification of administrative action?) is a matter of opinion. This is an issue where reasonable minds can reasonably disagree, but its importance justifies giving it the attention it demands. The conclusions drawn here are tentative, as we need to see whether subsequent judgments (by the General Court or the Court of Justice) will conform to this case law. However, La Banque Postale should serve as a warning —welcome to hard look review, ECB.